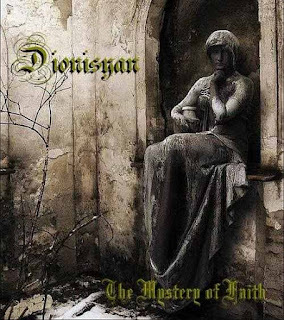 Dionisyan are a duo from Italy that plays a mixture of symphonic funeral doom metal and melodic progressive death and with some elements of goth, classical, Baroque and traditional Arabian music and this is a review of their 2015 album "The Mystery of Faith" which will be released on January 7th by Beyond Productions. Classical guitar playing starts off the album before going for more of a melodic and heavier doom metal direction along with all of the musical instruments having a very powerful sound to them and after a few seconds death metal growls become a very strong part of the recording and the songs also add in elements of classical music into certain sections of the recording. A good portion of the tracks are very long and epic in length and when synths are added into some parts of t he songs they bring in more of a funeral doom metal feeling to the bands musical style along with a great amount of symphonic elements and as the album progresses the songs start bringing in more clean singing male and female vocals and they also give the album more of an operatic feeling when they are utilized and all of the tracks stick to a slow musical direction and halfway through the recording elements of Baroque and Arabian music are added into some sections of the songs. Dionsyan plays a style of funeral doom/death metal that is very dark, melodic ans heavy at the same time as well as adding in elements of goth, classical, Baroque and Arabian music to make their music sound a lot more original, the production has a very professional sound while the lyrics are a concept album based on the emotions of Angels and demons. 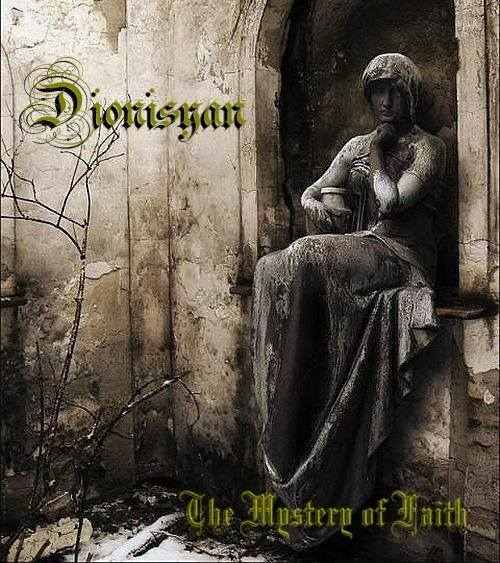 In my opinion Dionisyan are a very great sounding mixture of symphonic funeral doom metal and melodic progressive death and with some elements of goth, classical, Baroque and traditional Arabian music and if you are a fan of those musical genres, you should check out this band. 8 out of 10.